A hand dryer offers the most cost-effective and hygienic way of drying hands in a washroom, eliminating the need to supply, refill and dispose of paper towels, or to provide and wash hand towels. 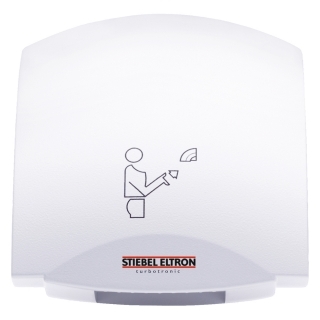 The Stiebel Eltron HTE electronic hand dryer provides economic hand drying through IR proximity electronics, switching the unit on when you hold your hands between 6-12cm below the air outlet and switching off again once hands are removed. The interior of the hand dryer is protected by the robust outer casing and its design prevents objects such as cigarette butts from becoming deposited onto the casing. 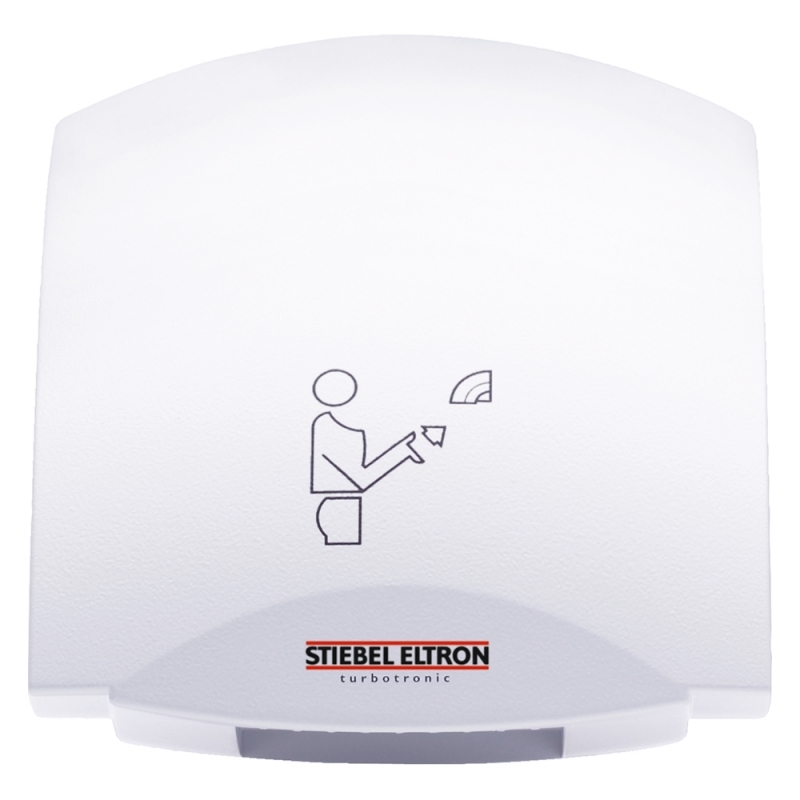 The Stiebel Eltron HTE hand dryer easy to install, is maintenance free and provides reliable operation. It's low costs and quiet operation make it a popular hand drying solution for a wide range of applications.